One comes with an aspiration to be a director and turns into a hero, while some other comes with a dream to be a hero, and ends up in a technical department – this phenomenon is not unheard of in the film industry. Nani is a classic example – He had come to Tollywood with an ambition of becoming a director but has eventually emerged as a hero with a unique image. His latest film Yeto Vellipoyindi Manasu released today. 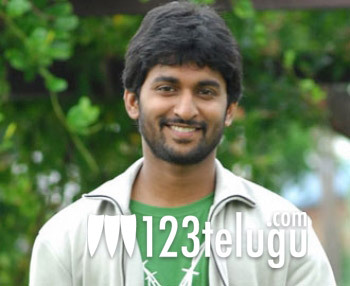 In an interview given on the occasion Nani said that he was so captivated by Gautam Menon’s ‘Kakka Kakka’ (Gharshana in Telugu) that he had a desire to work under him as assistant. But never had he imagined that he would get a chance to play the lead role in Gautam’s film. Nani said he was very happy to be a part of YVM and hinted that another bilingual in Gautam Menon’s direction is on the cards.